The next upcoming Thanksgiving is on Thursday November 28th, 2019. Thanksgiving Day is on the fourth Thursday of November. It is a time to give thanks for the harvest and of the preceding year. Today, Thanksgiving means spending time with family and friends over a large feast. Thanksgiving Day has been celebrated in the United States since 1863. 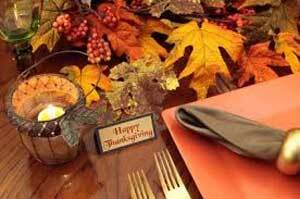 Thanksgiving Day centers around family and friends where a meal is shared. The meal traditionally includes turkey, stuffing, mashed potatoes, sweet potatoes, cranberry sauce, rolls, gravy, and pumpkin pie. It's a time to reflect and give thanks for what we have. Parades and festivities are held in some cities, portraying Thanksgiving and marking the start of the Christmas season. Most government and businesses offices are closed. Many people have the Friday after Thanksgiving off giving them a four day weekend which is popular to see family and friends out of town. The traditional Thanksgiving holiday is traced to a sparsely documented celebration in 1621 at Plymouth which is in present-day Massachusetts. The feast was prompted by a good harvest. But the very first Thanksgiving was actually in 1623, giving thanks for the rain that ended a drought. The holiday spread to various dates in different communities and even more than once a year. The first national Thanksgiving Day was proclaimed by George Washington, the first president of the United States, on November 26, 1789.